Boynton and Co. are searching far and wide to fill their roster with bodies. 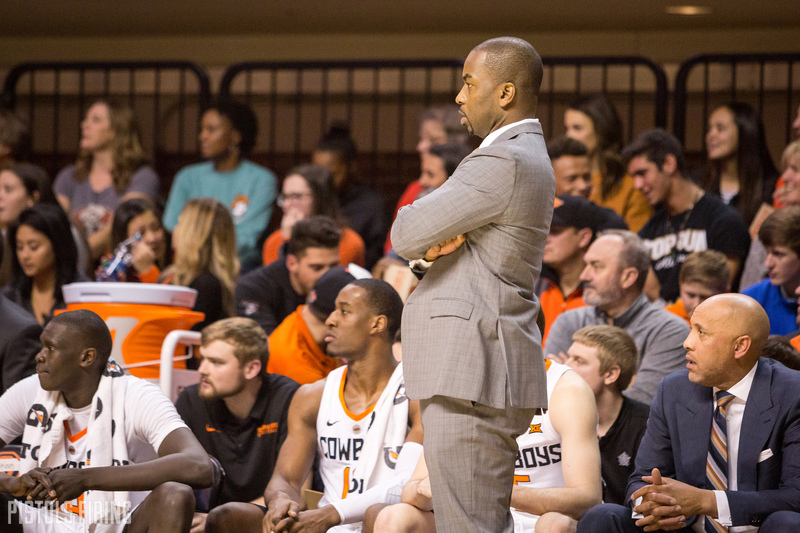 In the wake of an extreme outflux of players on OSU’s basketball roster, starting last week with graduate transfer Mike Cunningham and culminating Wednesday with Michael Weathers, Kentrevious Jones and Maurice Calloo, Mike Boynton is opening the floor to Colvin Center stars to try their hand at joining the team. A day after the latter trio was dismissed from the team for an alleged vandalism incident, OSU’s Twitter account put out the following call for walk-on tryouts scheduled for tonight at Gallagher-Iba Arena. Now, before you go drop your 8-5 accounting gig for a shot at the big leagues, here are the requirements to keep in mind before you waste your gas money to get up to show off your skills. With the latest round of dismissals on Wednesday, OSU needs all the bodies it can get. Boynton and Co. are down to only seven scholarship players on the full roster (eight including Trey Reeves, who was put on scholarship for the rest of the season), and nine players overall. They don’t even have enough to run 5-on-5 in practice!